The Reel EFX DF-50 Diffusion Hazer offers an awesome accompaniment to enhance your show or events lighting. Boasting a superior hang time of over 3 hours the DF-50 will only use two ounces of fluid per hour. 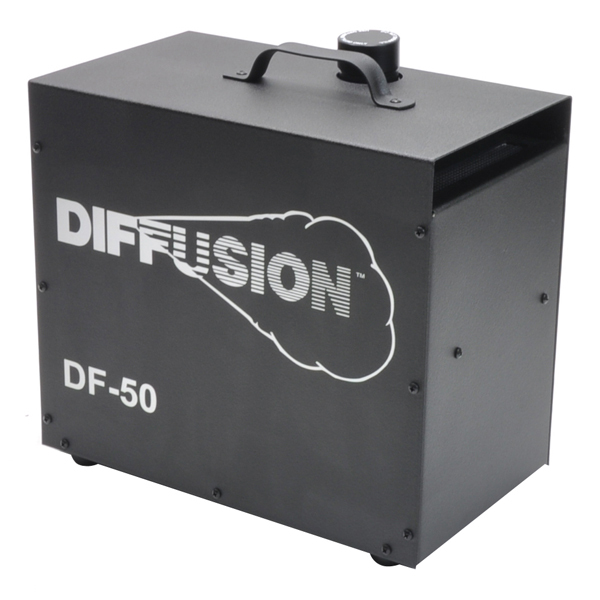 With no warm-up time the DF-50 Hazer can run for up to 35 hours and only use 2 litres of fluid. All this makes it a very efficient piece of kit. Production Hire own a state of the art Reel EFX DF-50 Diffusion Hazer for dry hire to support your live music event. Call or contact us for your free no obligation quote regarding Reel EFX DF-50 Diffusion Hazer dry hire. One of the Production Hire team will be happy to help.